Flatforms: These shoes and sandals were hot, hot, hot on the runway this year but according to many of my readers and other women polled by other fashion magazines, they are not that popular. Hmm…seems like a little bit of a disconnect to me. 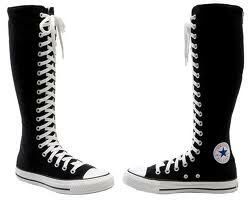 If women are searching for these shoes, it seems to me that they must like them. Well, one thing that I know for sure is that the more popular they become, the more they are being produced. Originally, there were only a few runway photos of them out there, but now I see them in more and more magazines and stores…so ladies, I think the flatforms are here to stay for a while. Stay tuned for Part II with #6-#10. It’s just too long to put in one post!!! “Examining old shoes before buying new ones can help you evaluate your wear patterns and buy new shoes with a better fit and style that compensates for the stresses you place on shoes. You can also take a look at your footprint to see some of this. Click here for more information about your footprint. I took a poll at school today, and the girls in my class (fourth grade) said that the shoes they would like to see in a shoe store are mostly knee high Converse, Vans, and Uggs. Which Christian Louboutins Are Your Favorites? 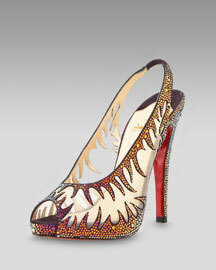 Some of our readers’ favorite Christian Louboutins! 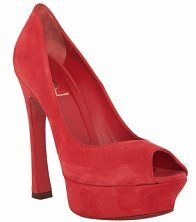 These glitter peep toe pumps were a favorite among our readers on NYE! Spiked heels were all the rage this year! 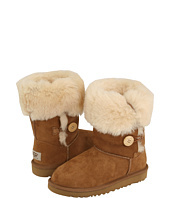 Like these furry boots or not, they were all over the place on the celebrities! Let me know what you think. Christian Louboutin shoes, with their famous red soles, are the most prized possessions of some of our dedicated readers and are wanted by shoe lovers all over the world! No wonder they make the headlines so often, lawsuit or no lawsuit! It’s only been about a week since the news came out about Christian Louboutin suing YSL over red-soled shoes…and now another company, Carmen Steffens, is being sued by Christian Louboutin for the same thing! 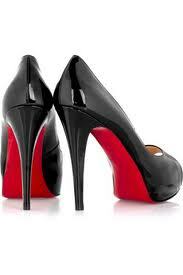 I’m sure you have all heard of this lawsuit by now if you’re a shoe lover! But if not, here it is: Christian Louboutin is suing Yves Saint Laurent for trademark infringement over selling red-soled shoes. 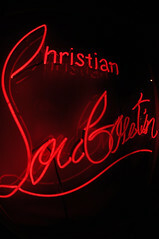 Actually, Christian Louboutin contacted YSL in January in Paris and asked them to stop selling their red shoes with red soles, but YSL replied that they were going to continue to sell the shoes in quesion…so the lawsuit was eventually filed in the U.S. on Thursday. Law experts said this could drag on for months, although it will probably settle out of court before going to trial. 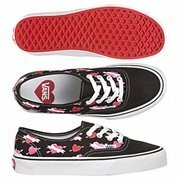 The shoes in question have a colored suede upper and colored soles of an identical shade. According to online research by Footwear News, the YSL styles in the suit come not just in red with red soles, but also in green with green soles, and purple with purple soles. 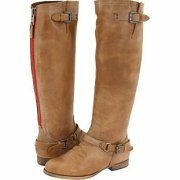 Both companies sell their shoes in high-end fashion stores, including Saks Fifth Avenue, Barneys New York and Bergdorf Goodman. 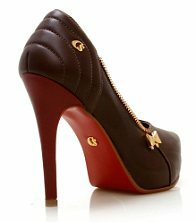 ChristianLouboutin was awarded a registered trademark for its red sole by the U.S. Patent and Trademark Office in 2008, and now seeks a court injunction against YSL’s sale of its shoes, as well as damages of at least $1 million. So what do you think? Should YSL stop making and selling their red shoes with red soles? 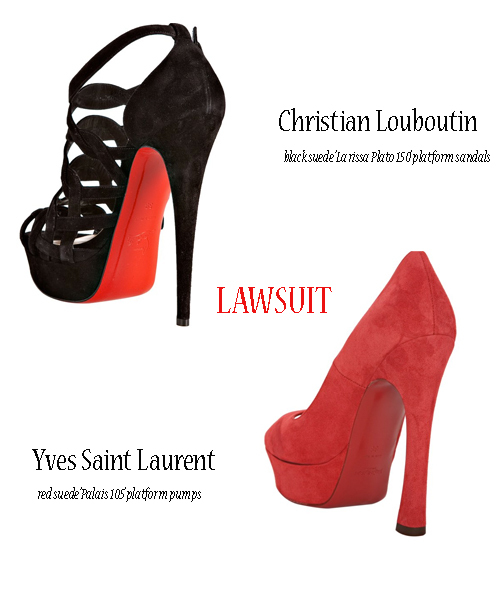 Or should Christian Louboutin drop this lawsuit? What do you think about a trademark over a color? It could make for some interesting discussions about the law and shoes…please feel free to comment and add to the debate!